Mod The Sims - Tutorial: Forcing ambient occlusion ingame. General - Tutorial: Forcing ambient occlusion ingame. Replies: 185 (Who? ), Viewed: 49475 times. #1 17th Oct 2012 at 10:57 AM Last edited by blakegriplingph : 4th Aug 2018 at 10:33 AM. Tutorial: Forcing ambient occlusion ingame. EDIT: Grijze Pilion mentioned a tool called RadeonPro for AMD Radeon users who are itching for a similar AO effect in their games. Haven't tried that yet myself as I don't have a Radeon-based system to test things with, but I'm vouching on this tool too. EDIT: jje1000 was kind enough to provide a list of compatibility bits which are known to work on TS3. In my case the Call of Juarez: Bound in Blood preset works, though this may also depend on your GPU drivers. So I read about adding SSAO effects in Grand Theft Auto IV here - I'd like to do so with TS3, but since I haven't seen or read any guides about it, I decided to find out the hard way. It should work on Windows systems running Nvidia GPUs, and from what I can tell it is a tad more intensive especially if you crank up the AO settings to high though there should be an equivalent method for AMD users. You'll need a copy of NVInspector and the latest drivers for your Nvidia card. You'll be greeted by a big screen with a bunch of settings. On the Profiles dropdown list, scroll it down until you'll find the entry for Sims 3. Now click on the Add application button on the toolbar, next to the little red X. Navigate to your TS3 install location, and depending on your game's version, click on ts3.exe or ts3w.exe. In my case the AO compatibility is set as 0x00000007, which is for Counter-Strike: Source. IDK about using other compatibility profiles, but the CSS bit works. The AO setting and usage bits as seen in the screenshot should be enough in most cases. Other than resizing the images, no shooping was done to these screenshots. 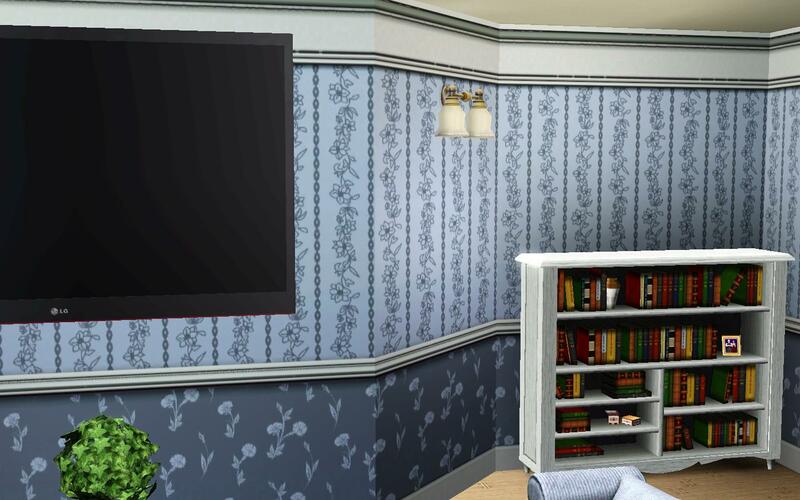 As you can see, Samantha casts a shadow on the wall when AO is enabled, and the wall corners and other edges look a little more defined compared to the vanilla game. In some scenarios the effect is subtle, and as I've said earlier the effect can add a significant processing overhead, but I'm sure that any one of you guys who own a faster card can enjoy this without any gameplay problems. Thank you for this info! 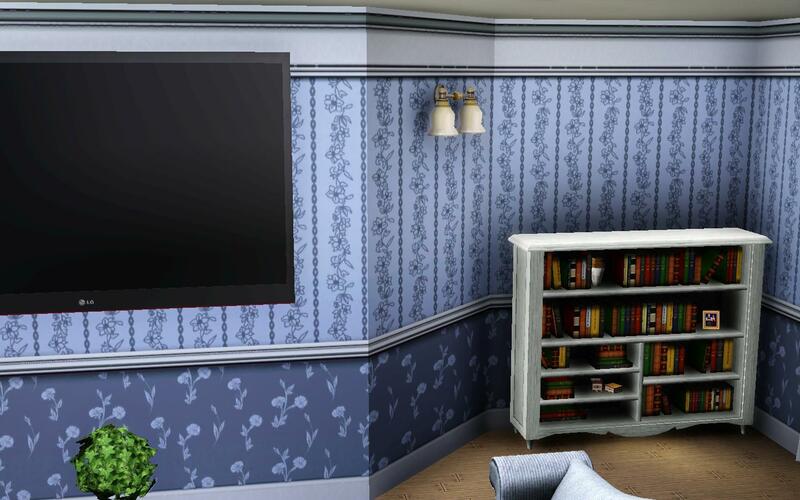 What particularly interests me is how, in your last two screenshots, looking at the wall lamps and the white bookcase, with SSAO on they don't have that white glowing bloom that they have with SSAO off. 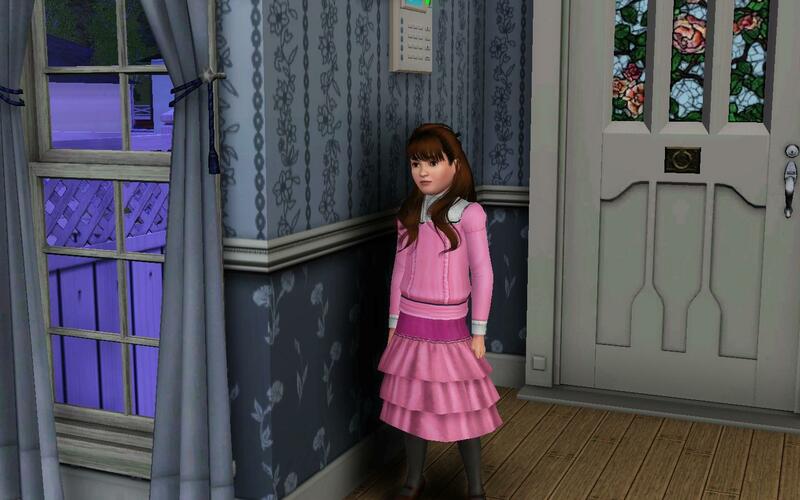 That eye-hurting bloom has been one of my very biggest peeves with TS3. Don't know if my low-end nVidia card will be able to cope with SSAO in gameplay, but it may certainly at least be useful on an occasional temporary basis for screenshotting for uploads. I don't know if it's just me, but I've found that the bloom has become decidedly worse since either installing Lucky Palms or one of the newest patches, and has made it hard to get good, non-glaring, screenshots for my last few uploads. Look forward to trying this out! I think there should be a setting for adjusting bloom parameters in one of the package files, but IDK. My game ran at about half the framerate when occlusion was forced to it - I usually get 60-70 FPS with my GT240, but it dips down to 25-35 when AO is on. If there's a package file where the bloom parameters can be adjusted, I'd love to know where to look. I do use a mod by Shimrod, 'Softlighting Less Bloom' made for Sunlit Tides but also helps a little with Lucky Palms, which is the worst bloom-infested EA world I have (I don't have Sunlit Tides), maybe those are the parameters you mean: http://simsasylum.com/tfm/index.php...ing-less-bloom/ . (You need to register to see the page.) The mod isn't a total solution but does help a little. 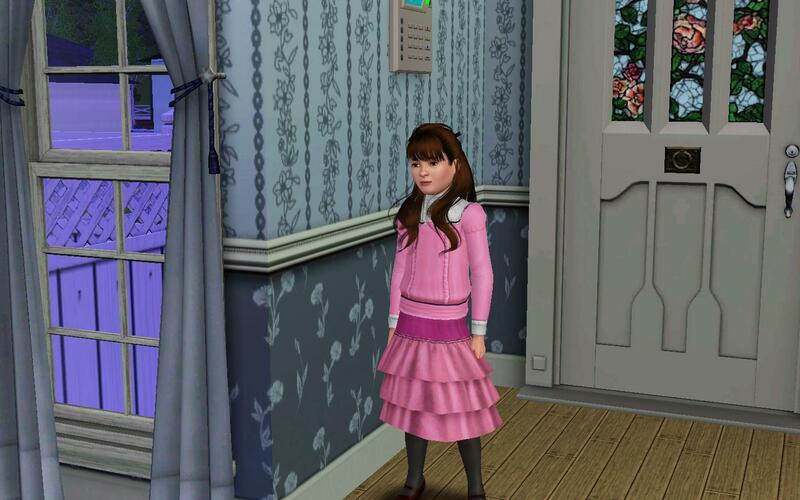 I am surprised TS3 doesn't simply have a menu option for turning the darned bloom off, as many other games have! I'd ditch the frame limiter if you plan to run the game with SSAO on. Yeah, I guess if SSAO makes it dip down to 25-35 anyway, it will accomplish the same effect! Look forward to trying it when I get a chance to be at my gaming PC later. In those pictures with the lamps, are they on or off? They're on, but they seem to be a tad dimmer. Just finished trying this out and it looks very useful. I have a pretty low-spec PC and graphics card (9500GT, currently in the process of dying on me and am waiting for a replacement to arrive, so I didn't mind experimenting with it). The game still seems to run OK - I expected this to slow it down a lot, but I don't seem to see a noticeable difference. What a difference - it even looks a bit too dark now! All textures look much better too, more defined, such as clothing and hair. Interesting! I find that, however, unless I also use Shimrod's above-mentioned mod as well as the SSAO, I still get a lot of bloom on some things such as kitchen countertops and appliances. But with the two together, the bloom seems to be pretty much gone, which is great! I guess everyone's mileage will vary according to their graphics, but this looks like a step in the right direction for those of us fed up with OTT brightness and bloom on everything. Thank you again for telling us about this app! This is brilliant! Thank you! This is revolutionary not just for gameplay, but for machinima makers who have to cope with crappy lighting by installing mods that you have to update every so often. This is a great, permanent solution! Especially since Boris Vorontsov who developed ENBSeries might not be interested in making a version of his mod for TS3. I always wanted an ENB for the game, but so far the San Andreas version didn't seem to fit my needs. I love GTA! San Andreas had REALLY great texture packs and mods. 4's great, but I love SA more. What I'm wondering is if this'll work for TS2. I wouldn't think so. It did work, but only a limited number of effects are supported. Like bloom for example. The effects look quite good. Well, I know how I'm spending today . . .
edit: BTW, thanks for the head up with AO, i have nvidia so i'm lucky i could try it, it works well, thank you. I had some troubles with it in TS2, I had to uninstall it because it would make the game too bright and crash it by the neighbourhood screen, and now AnyGameStarter just refuses to work at all. Don't know what went wrong there. Sigh. 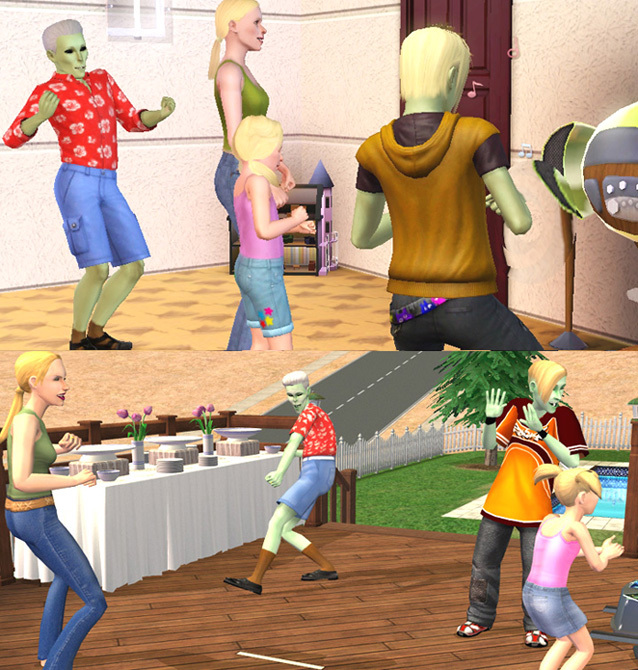 However, in TS3 . . . wow. It reminds me of Heavy Rain. Where do you put the files in sims 3? I really have no clue what I'm doing with the img tag embedding so apologies if pics are too large. Just wanted to post these for anyone interested in forcing ambient occlusion OR interested in the Sweetfx visual effects. The SweetFX seems makes everything super-glowy and dark. 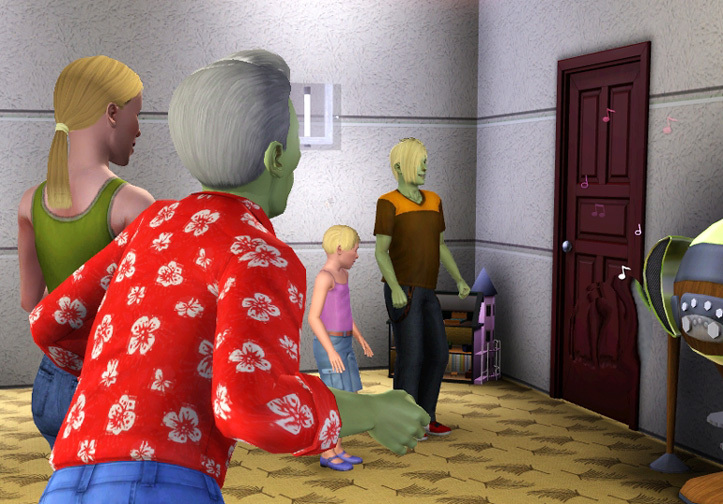 I guess the Sims 3 looks the way it is due to a lack of quality bumpmaps and a good lighting engine. The basegame already attempts to simulate ambient occlusion through the use of baked textures, but some more wouldn't be a bad thing. Yep, that's one of my gripes with the game. Perhaps EA should go with deferred rendering in TS4, but then again that would be memory-intensive due to the use of G-buffers. And yes, AO is indeed used extensively as baked lightmaps, or textures on objects (hence the reason for the multiplier texture on CAStable items). Adding some realtime AO would be a plus. This is awesome! I'm getting a Geforce GTX 650 Videocard for christmas, so I will definately try this out once I have it. It should work out fine on a 650, most likely faster than in my case. I could experiment a bit now, but as it is the game never goes above 30fps for long if I put it on high settings (With no extra houses displayed in detail), so the Ambient Occlusion would probably give my card a heart attack. Edit: I would actually like to see what ambient Occlusion looks like in The Sims 2. If anyone has any pics.